If you are up against the clock, you will want to have fusible repair options on hand. Fusible options are available in the fabric notions section. Fusibles work best on fabric that has already been laundered but will usually hold long enough to get you through an evening. If you have children, you have mending in your future and may want to learn about durable sewing tools and sewing machines. A ripped seam is no reason to throw away the clothing! Even without a sewing machine, you can repair the seam. Safety pins are not the solution to a broken zipper! A seam ripper and learning how to replace a broken zipper will solve the problem and preserve the garment. A loose button is not a reliable way to leave the house. Once that button falls off you may be exposing more than you intended and if you lose the button, you'll need to replace all the buttons to save the garment. Learn how to sew on a button, and you won't have to worry about a button again! Worn out shirts can have a second life if only parts of the shirt are showing wear. 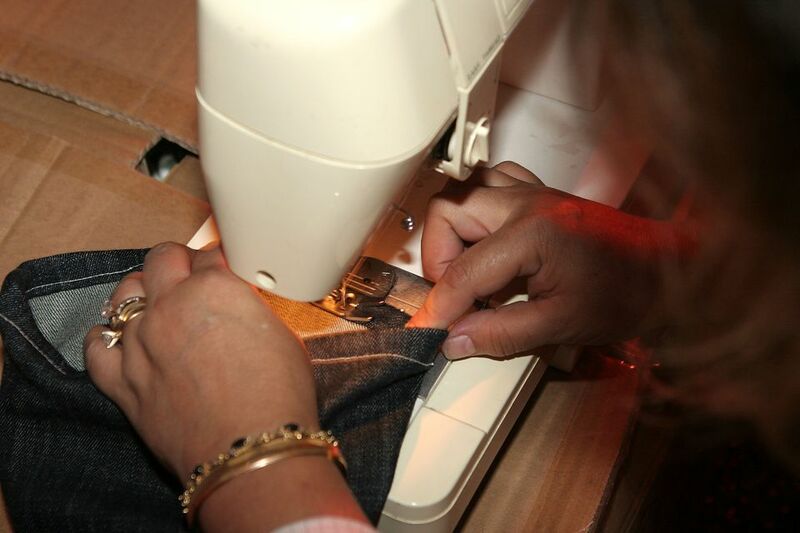 Replacing cuffs and patching elbows is not an overwhelming job if you know what to do. If you've decided to invest in a sewing machine and feel overwhelmed with learning how to operate the machine, there is help!